Pulisic also provided an assist to put the USMNT up 2-0. Christian Pulisic was made for nights like tonight. The 19-year-old from Hershey, Pennsylvania, the man anointed as the future of US Soccer is increasingly looking more and more like the present of US Soccer because this guy is the engine that moves this team. Within the first 15 minutes of the United States’ must win World Cup qualifier against Panama, Pulisic charged through and had been beating everyone in a white shirt. It was most apparent in the eighth minute as Pulisic got ahold of Tim Howard’s goal kick and header and went straight through to goal. 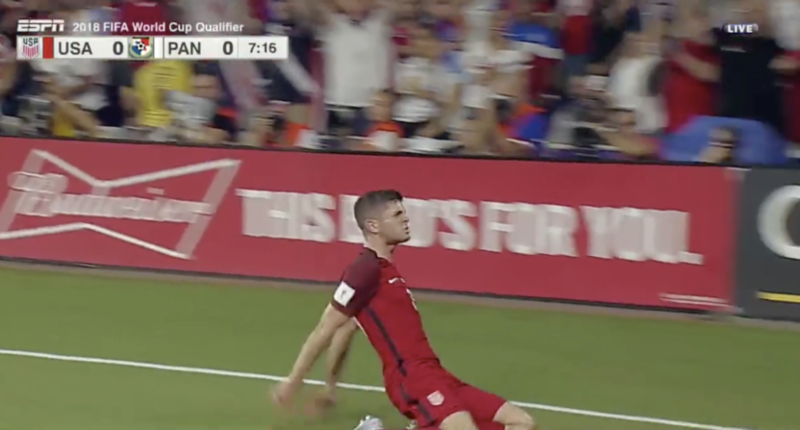 Pulisic also set up the USMNT’s second goal in the 19th minute, calmly crossing the ball on the ground to Jozy Altidore to double the lead for the United States. Many feel Pulisic is too young to take control of this United States team. He seems more than willing to take it on.